Pleased to learn that my One Place Studies article for Discover Your Ancestors periodical is now available. Other good news for family and local historians is the plan by Find My Past to make the 1939 register available. This was the list compiled at the outbreak of the second world war, in order to facilitate making identity cards available and organise rationing. We recently spent an enjoyable day at Dorset Family History Society’s Fair, in company with a party from Devon Family History Society. Young Edward’s early arrival made it possible for us to attend and therefore we could save money by having a self-drive mini-bus with Chris as driver. 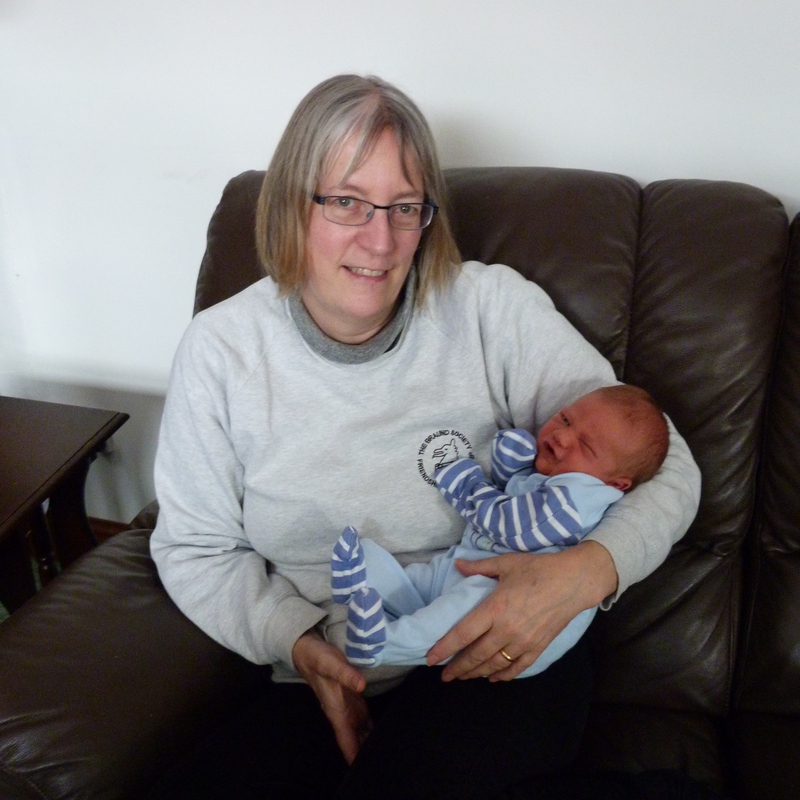 When he went to collect the vehicle, the day before our trip, he was disconcerted to be told that he was too old! As he is only just the wrong side of retirement age this was a bit of a shock and of course meant that we had no way of getting our party to Dorset. Fortunately a few phone calls to the insurance company rectified the issue and we drove away with our vehicle of choice. A couple of days entertaining school children in the seventeenth century and a talk to Devon Family History Society in Plymouth this week. As we draw up at the Plymouth church where Mistress Agnes is on the bill, the premises is suddenly surrounded with vehicles sporting blue flashing lights on their roofs. There seems to be some form of raid going on. Has someone reported strange folk loose in Plymouth in seventeenth century garb? I am relieved that we are lacking any unusual herbs, swords or guns amongst our props. Later Chris collects fish and chips from the nearby take-away without the proprietors blinking an eye. Does this say something about the residents of Plymouth perhaps? I do wonder if the particularly generous portions of chips owed anything to the period clothing. Either they were impressed or keen to get rid of him! The building work is coming to an end, just leaving me with a lifetime of painting to do. A couple of minor snags. Butler sinks are clearly designed for ornament not use. Mine does not have a plug. Surely I cannot be the only person who wants a sink to hold water? Is that not a definition of a sink? I point this out to the representative from the prominent DIY chain who supplied the kitchen. They agree that I can purchase a plug, which bizarrely they do not stock, at their expense. Then there is the issue of the free washing machine that was part of the deal. This did not arrive when it should, with the rest of the kitchen. Several phone calls later and a delivery date is arranged. An integral washing machine arrives on my doorstep. ‘No’, I say. ‘I am expecting a free standing washing machine’. After all my kitchen has been designed and there is clearly no space for an integral machine. The integral washing machine is on its way back to the depot and I chase up its replacement. Ah, it seems the free offer was for an integral washing machine only. This has not been made clear. Where am I to put an integral appliance? This saga is ongoing, watch this space. A slightly greater hitch on the snagging list is the fact that a sharp shower has revealed that there are two major leaks in the conservatory. One involves rain rushing in under the lead flashing and pouring ferociously down between the old wall and the plasterboard, finding its way out round the window frame and on to the floor. Another downpour and my beautifully plaster boarded conservatory will lack a wall. The builders are on track to come and solve this – hopefully before the rainy season sets in. 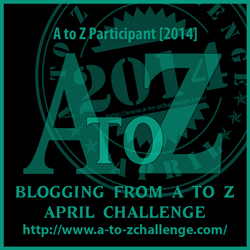 Be warned good folk that I am taking part in the annual A to Z blogging challenge. This means that almost every day in April will be taken up with blogging my way through the alphabet. I am yet to finalise my theme for this but I promise that it will be historical. Family History is all about relationships but how often do we consider what those relationships actually mean. 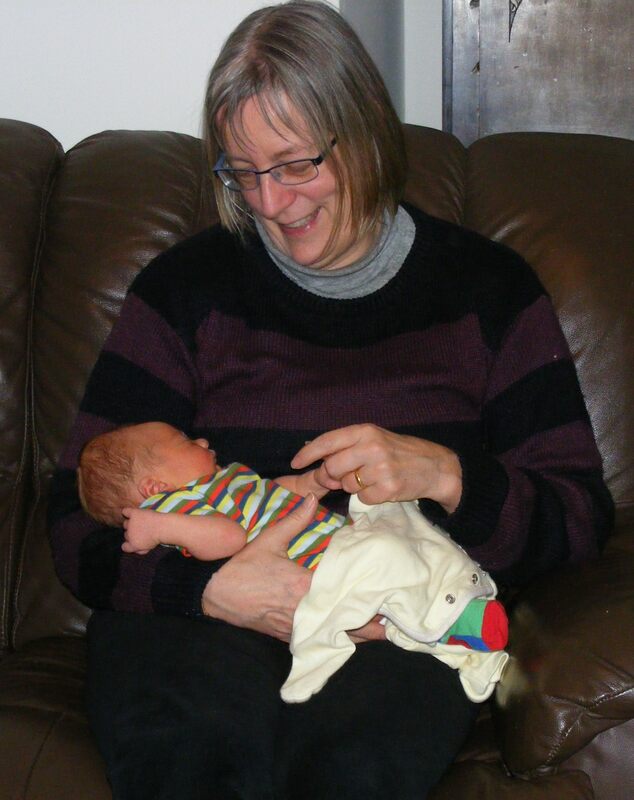 Regular readers will remember that when I first became a grandparent, in November, I posted about The Maternal Line and suggested that it might be interesting to compare numbers of children, ages at marriage and ages at death of our female ancestors. Now I have acquired my first male descendant I have to think of something different. Edward Leo does have a direct male line of course but that is for his other grandmother (also a family historian) to pursue. I thought therefore that I would concentrate on grandparents on my side of his family. Grandparents have been much on my mind recently and not just because of my newly acquired status. When I married in 1980 the wedding ring of my maternal grandmother became my wedding ring. Yesterday, with regret, I had to remove this ring before my increasingly chunky fingers necessitated it being cut off. A lengthy session with margarine and ice cold water and mission accomplished. When I married, my grandparents’ initials and the date of their marriage in 1922 were still visible, engraved on the inside. After thirty four more years of wear, sadly, these are no longer legible but I have at least preserved the band intact. I have had a ring on that finger since I was eleven. First a copper band that had to be nail varnished on the inside to prevent my finger becoming green. This was replaced by a silvery metal version and then the wedding ring. I felt the need find a replacement ring for the fourth finger of my left hand. What better than the, slightly larger, wedding ring of my paternal grandmother, which now graces my finger. Tangible links then these rings from the past. So how has the grandparent-grandchild relationship changed? On this side of the family, Edward has one living grandparent – me. I am younger now than any of my grandparents were when I was born. 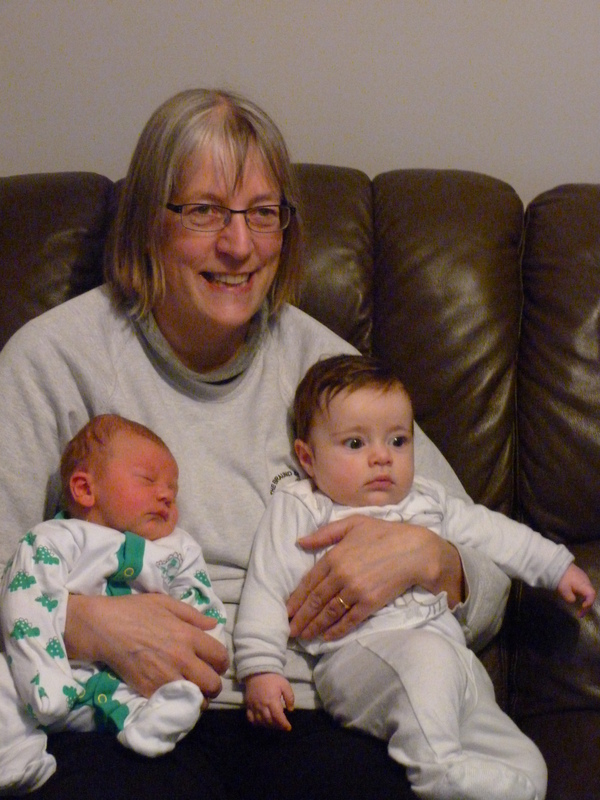 I have (so far) two grandchildren and they live 300 miles away. In the past this might have meant that I saw them rarely, if ever and unless I was comfortably literate, even the occasional letter would have been unlikely. It is too soon to say what aspects of my appearance or personality will be reflected in my grandchildren but I can see echoes of my own grandparents in me. What then of these grandparents of mine, Edward’s great great grandparents? I was an only grandchild for all of them, unusual for the time. When I was born I had four living grandparents, although all had died by the time I was eleven years old. Even though I am fortunate to have a very good recollection of my childhood, this does mean that my memories of grandparently relationships are limited to the perspective of a young child. 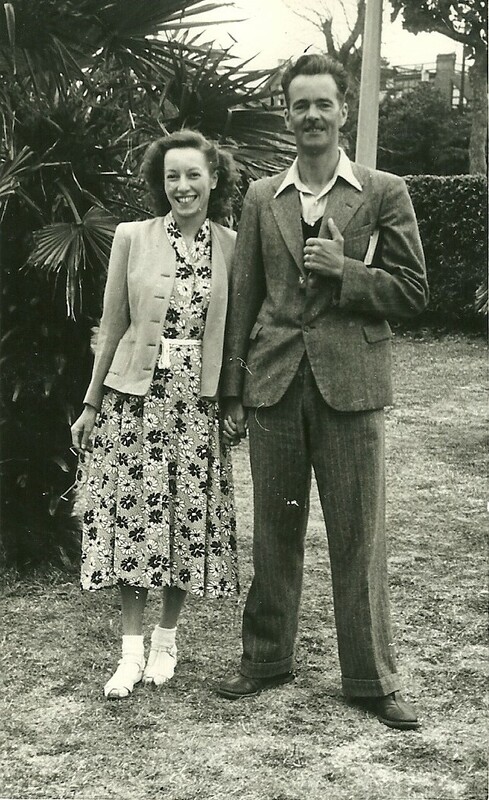 My mother’s parents lived within walking distance and we saw them weekly. They were able to provide regular support for my mother. 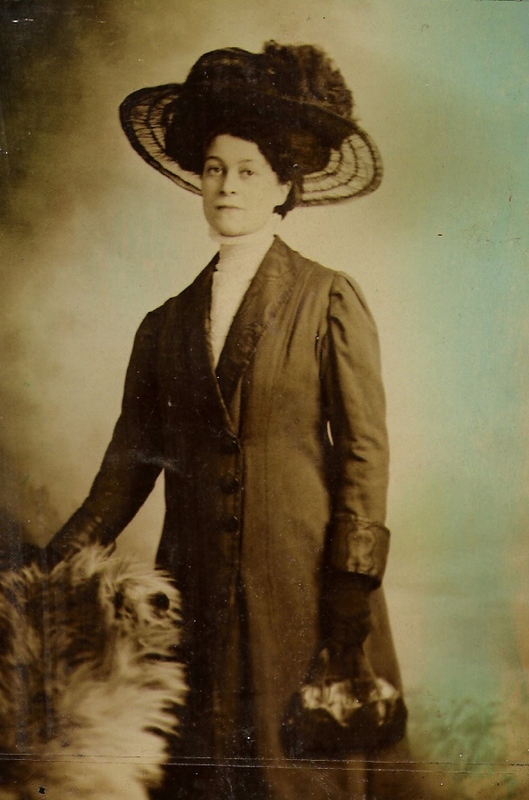 Equally she was on hand to help my grandmother when my grandfather was ill and then when she was widowed. When my grandmother herself became unwell she came to live with us. 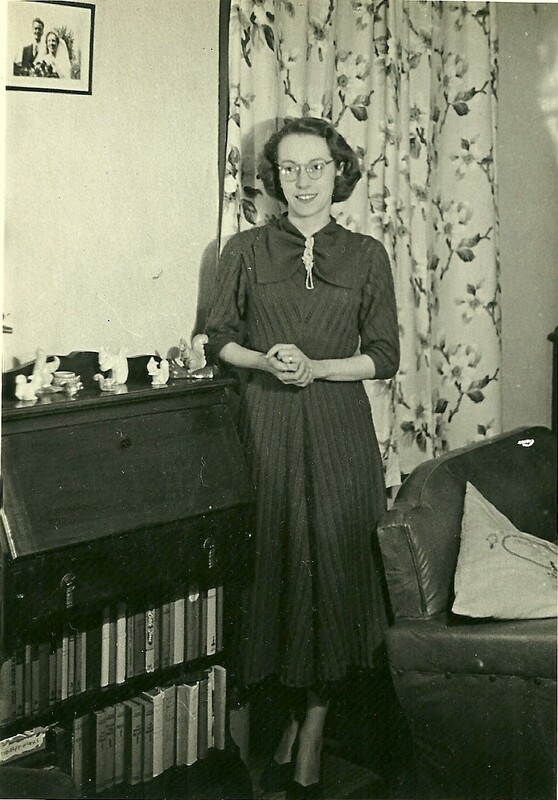 ‘Granny’, Ivy Gertrude Woolgar, was 63 when I was born and died a month after my seventh birthday. She was a wonderful lady and the archetypal granny in everything except build. We played together regularly, she taught me to knit, recited nursery rhymes and did all the things grannies are meant to do. My first family holidays were on the Isle of Wight and Granny came too. 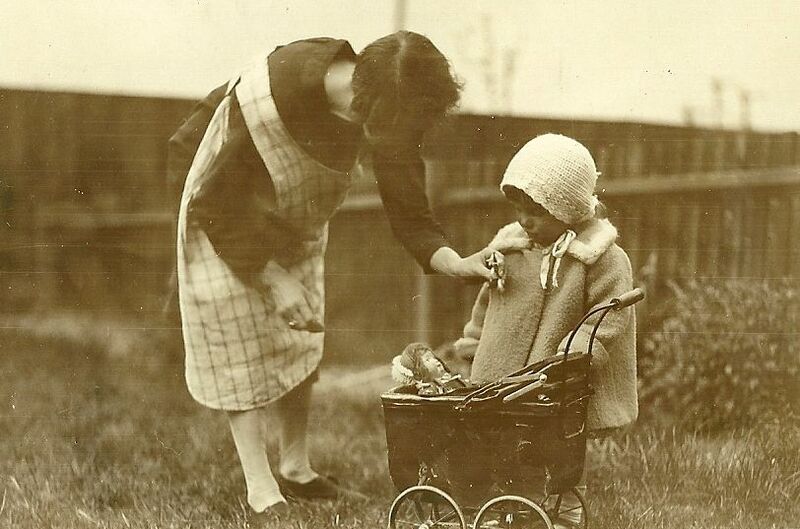 My memories of Granny are a role model for my own grandparenting. 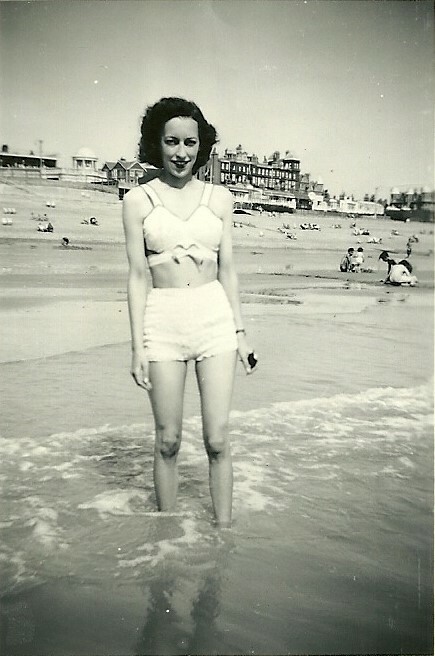 Although I lack her dainty size, physically I have inherited most from this grandparent. In fact I wonder why, when I look in the mirror, she looks back. 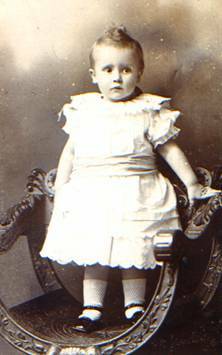 My maternal grandfather and youngest grandparent, was Frederick Herbert Smith; he was 61 when I was born and he died the following year. Despite this I do remember sitting in the sunshine on his desk in the back bedroom that was his office. According to other relatives he was happiest with his own company. A Chartered Accountant by profession, his main hobbies were stamp collecting and train spotting. I suspect that in today’s world a diagnosis of Asperger’s Syndrome might have been applied. He did everything he could to avoid family gatherings but nonetheless played with me and taught me to count his keys. There were thirteen but somewhere someone must have suggested that thirteen was not to be mentioned so I always counted ‘eleven, twelve, fourteen.’ What then has come to me from this grandparent? Physically, my short-sightedness but some aspects of my personality, such as the attention to detail and my self-sufficiency are his too. I wish I could have had the chance to get to know him better; I think we would have got on rather well. 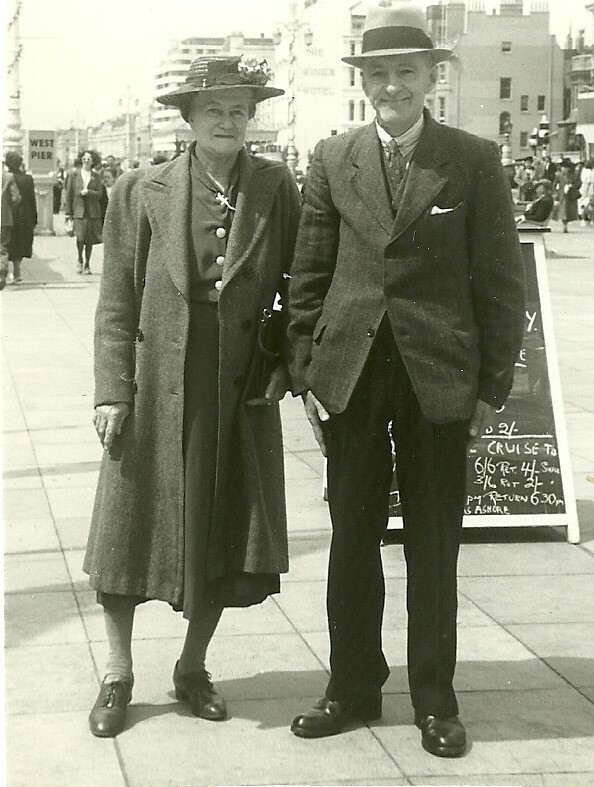 My paternal grandparents were much more aloof. We visited, perhaps monthly and occasionally went to Battersea Park, together with my parents. I was certainly never alone with them and have no recollection of anything that could constitute play. 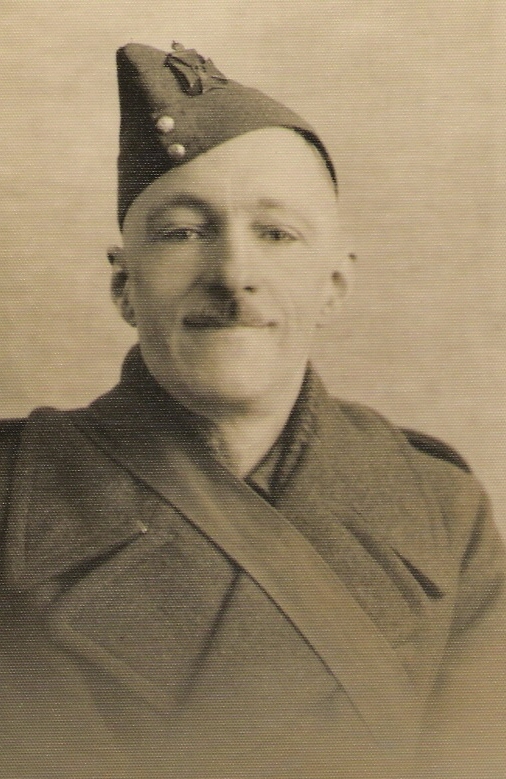 Albany Braund, ‘Grandpops’, a railway porter, became a grandparent at the age of 67 and died when I was six. 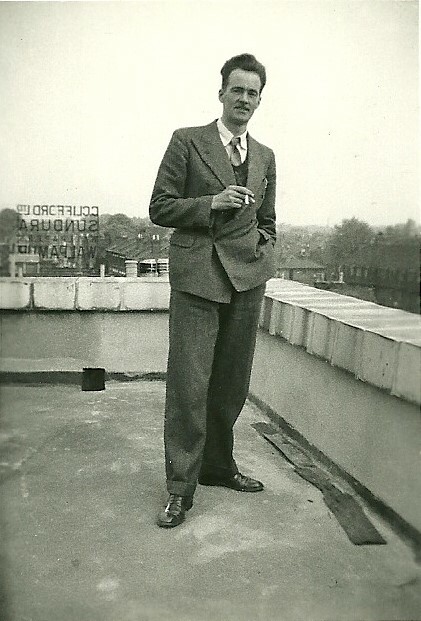 He was also the only one of my grandparents to grow up in the countryside and I now live closest to his birthplace. I was always a little wary of his gruff manner. Although I didn’t realise it at the time it is likely that my maverick tendencies and my willingness to challenge authority come from this grandparent. 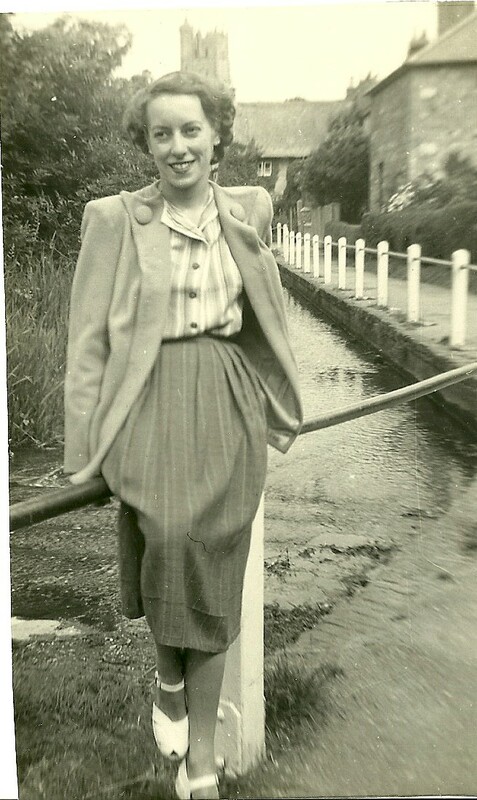 My fourth grandparent, ‘Grandmums’ Elizabeth Ann Hogg, was 69 was I was born, the eldest of my grandparents, yet she lived the longest, dying when I was ten. My relationship with her was a distant one and memories are shaped by her diabetes. We always had to shop for PLJ for her to drink and diabetic chocolate, neither of which were easy to obtain. I can’t identify how Elizabeth Ann has contributed to my genetic mix. I clearly remember the journeys to their house and the house itself but the personalities of my paternal grandparents elude me. Perhaps that in itself suggests that they were not child orientated. When one considers their background this is perhaps not surprising. Albany was only five when his widowed mother married again and left him to be brought up by his grandmother and then an older aunt, who had children of her own. He had contact with his three surviving grandparents, all of whom lived close by. In contrast, although three of Elizabeth Ann’s grandparents lived until she was a young adult they lived many miles away in Northumberland and Buckinghamshire, whilst Elizabeth’s parents had brought her up in London. Elizabeth’s mother died when she was twelve and family stories relate that her Northumberland grandmother came to look after her. Unusually for their generation, three of my grandparents grew up as only children, the exception was Ivy; this probably had an impact on their ability to form other family relationships, certainly Ivy was the most family orientated of the four. So young Edward, what will come down to you from all these ancestors and of course from your equally significant ancestors on your paternal line and the forebears of your maternal grandfather, whom I have not celebrated here? You will of course just grow up to be your own very special person but maybe sometimes echoes of your genetic forbears will travel down the generations and show themselves in you. After the mayhem of sleeping in six different counties in ten days, I returned to the relative calm of having my house turned upside down. Conservatory builders and house painters are now joined by kitchen fitters in week ten of entertaining workman. After the debacle with the freezer there was the incident of the large tub full of white emulsion in the shed. Suffice it to say that ‘full’ is no longer an appropriate term but I do have a very white shed floor. This was not part of the planned renovations. Then there was the wall that was considered to be too inaccessible to be plastered. I was prepared to concede that it was indeed impossible and went to relay the project manager’s decision to the plasterer only to find that he had somehow managed to accomplish the impossible by dint, I think, of lying on top of the oil tank. In general though it is all going pretty well and I have already spent the odd ten minutes relaxing in the conservatory. Only the inability to see the lap top screen when it is sunny is preventing me from living out there. Today I had the fun of trying to fit things into my new kitchen units. I feel a certain amount of reorganising coming on and by Christmas I shall probably still be wondering where I have put things under the new regime. Appropriately my 1946-1969 women’s memories project has got underway in Women’s History month. My lovely ladies have been exchanging memories of the clothes of the period. I was surprised to find that there was little difference across the class divide. Clothes were minimal in quantity, washed only when visibly dirty and thrown away when beyond any sort of repair. Who remembers The ‘New Look’, liberty bodices, popper beads, roll-on girdles, knitted swimming costumes or soaking net petticoats in sugar water to make them stand out? This brief twenty four year period saw so much change, particularly for women, in all aspects of their lives. We are all having great fun with the project and I have unearthed some gems from the family album. I happily whiled away a whole day writing up my own recollections of such sartorial delights as florescent green stockings and purple nail varnish, which I teamed with a jersey mini-dress in narrow stripes of florescent yellow, pink and orange. My attempts to get underway with my One Place Study project on World War I military personnel, in company with fellow members of The Society for One-Place Studies, were hampered by unsolicited phone calls this afternoon. Firstly the man from a well known telephone company who wanted to give me a new mobile phone. He seemed somewhat stupefied at my response to his question about how often I topped up my existing phone. Apparently the free phone he was offering could not be worth more than my average monthly top up. As this worked out at 4p he was at a loss. He was swiftly followed by another of the ‘I am not trying to sell anything’ brigade. I am never sure why these people always assume that I am more likely to succumb if they use my christian name. ‘May I call you Janet?’ – well you may but I am still not interested. His question was easier to answer – would I say I found it more difficult getting in the bath or out of the bath? He had obviously been talking to my twelve year old fan in the school. I debated a while and then put him out of his misery by explaining that I have no bath. Finally, back in the First World War I have been studying the ten men from my village who lost their lives, on the Somme, in Basra and less exotically but none the less tragically, in Weymouth. The helpful suggestions provided to members of The Society for One-Place Studies have been invaluable and I am enjoying being part of a collaborative project. Having just returned from London via Cambridge I have two days at home during which I field the aftermath of Who Do You Think You Are? Live. I have to respond to a Twitter storm following my talks and books launches. I have been added to the pool of lecturers for the Unlock the Past Cruises, there are articles to write and I have more volunteers to add to my pool for the 1946-1969 memories project. Then a sad journey to the Isle of Wight for a friend’s funeral. As we travel across the Somerset levels there is a strange light in the sky. It resembles a truncated rainbow with a greenish tinge. It turns out that this is the aurora borealis. Having travelled to Lapland and missed it there, here it is not a hundred miles from home. We stop for sustenance. The restaurant is almost empty. Without a hint of sarcasm the maitre de says ‘I will see if we can find room for you’. Next morning we arrive very early for the ferry to the island. So early in fact that we get on the one that leaves nearly two hours before our intended sailing. This is the ferry beloved of large lorries. In the interests of fuel economy we are driving my very tiny car, which is dwarfed by surrounding vehicles. As we drive on to the ferry the news comes that my awaited grandson may be putting in an early appearance. So in the paradox that is the circle of life I find myself saying goodbye to a friend as my daughter is in labour. 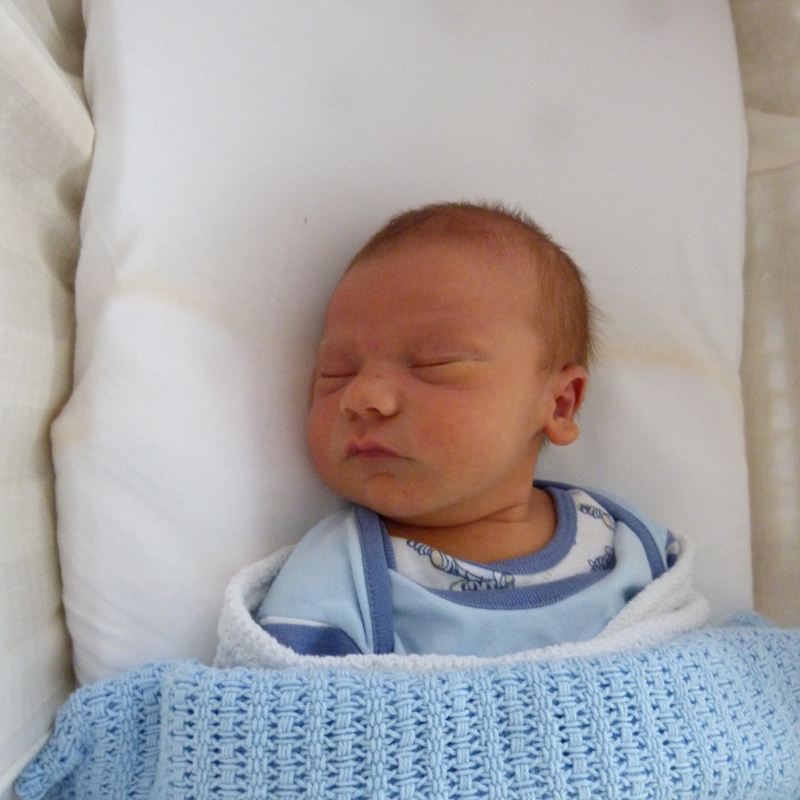 The exciting news of Edward Leo’s arrival reaches us by evening. So whilst fireworks announced Lucy’s arrival, Edward’s was heralded by the aurora. We make it back home from the island at 1.30am. For someone who almost never sees 11pm this is a big deal in itself. Nine hours and several messages to workmen later, we are heading north to meet the latest addition to the family. He is of course completely gorgeous and I spend a lovely couple of days getting to know him. An added bonus is when his auntie, uncle and cousin come visiting and I get the chance to cuddle two grandchildren at once! And the building works? Pales into insignificance really. There was the occasion when I had four different sets of workmen in the house at the same time. Four men plastering various walls, the house painting man, the Rayburn fixing man and the plumber removing what used to be an outside tap but which was now in the conservatory. Weird one this – removed at the request of the plasterer so he could plasterboard over it and make a nice flat wall. Having organised this, said plasterer needs access to water so he can plaster whilst I am out. ‘Do I have an outside tap?’ Well, I did have an outside tap. Unfortunately one of the various workmen here while I was away meeting Edward inadvertently (at least I hope it was inadvertently) turned the freezer off. Now the conservatory is almost complete I have to run the gauntlet af kitchen fitters. One day I shall get my house back and I promise we shall get back to historical posts soon!